Achieve luscious locks with the Fig and Vanilla Shampoo from Natural Spa Factory. Fusing together the deep earthy tones of Fig and the delectable sweetness of Vanilla, the sulphate-free shampoo has been expertly formulated to gently eliminate impurities without stripping away essential oils. Formulated with naturally-extracted Coco Glucoside, it produces an indulgent creamy lather, whilst Vitamin-E rich Tocopherol delivers intensive moisturisation with Hydrolyzed Wheat Protein helping to seal it in. 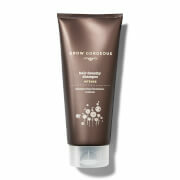 Suitable for daily use, hair feels softer and revitalised with a healthy-looking shine. Free from parabens, SLS and mineral oils. Not tested on animals. Apply to wet hair, gently massage into a lather and rinse thoroughly with warm water until clear. Aqua, Coco-Glucoside, Lauryl Glucoside, Cocamidopropyl Betaine, Parfum, Glycerin, Tocopherol, Benzyl Alcohol, Phenoxyethanol, Potassium Sorbate, Citric Acid, Hydrolyzed Wheat Protein, Sodium Benzoate, Geraniol, Hexyl Cinnamal, Isoeugenol, Butylphenyl Methylpropional Citronellol, Linalool.